Home > Blog Posts > Revenue Recognition > Are Technology Businesses Actually Preparing for ASC 606 ? Are Technology Businesses Actually Preparing for ASC 606 ? 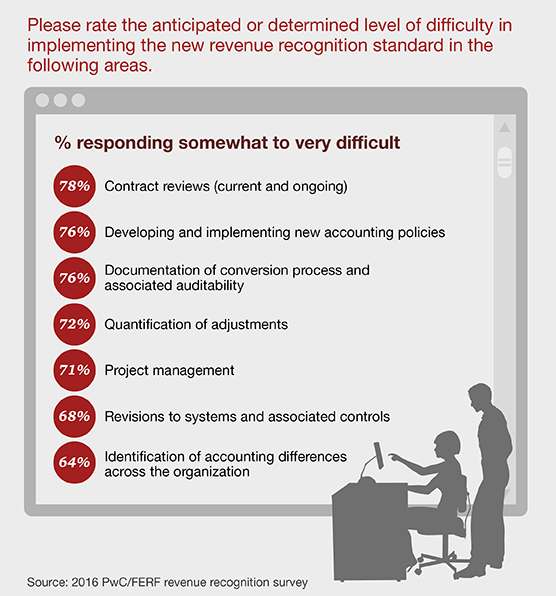 We’ve covered the ASC 606 roll-out a number of times already (for more details, check out our Revenue Recognition Hub), but sometimes it’s important to take a step back and see where the rest of the industry stands. This isn’t meant to make you panic, or feel as though you have “extra time” to begin the ASC 606 migration process because your competitors might not be very prepared either. We heartily recommend beginning that work as soon as possible—you might even see some benefit to your bottom line in doing so. Instead, you can use this information to understand where your strengths and weaknesses are, and develop your own strategies for preparing for ASC 606. According to a recent survey from NetSuite of its customers, conducted during a recent webinar on the topic, a full 60 percent of respondents have not started to prepare for ASC 606. 27 percent have established a plan for the transition, and only 7 percent have completed their gap analysis. These numbers are probably skewed toward the unprepared, as they would be more likely to attend an informational webinar meant to offer basic guidance on the transition. Still, the results are somewhat surprising, given that NetSuite’s current customers have the benefit of having software that’s ASC 606-ready at their fingertips. In a different survey from PwC, the numbers are a little more positive. In this case, 78 percent of all companies are either assessing or implementing new processes to deal with ASC 606. Public companies are far more prepared, given higher levels of financial reporting. 47 percent of private companies have still not started on preparing for ASC 606. When moving from old revenue recognition methods to ASC 606, there are a few methods of transitioning. According to NetSuite, almost half of companies are completely undecided on what method they want to use. Same goes for PwC—52 percent are undecided. Of companies that have chosen a method, they are split about equal between the full retrospective method and a modified retrospective method. 14 percent have chosen the former, and 12 percent the latter. For PwC, it was 18 percent at full, and 30 percent for the modified version. 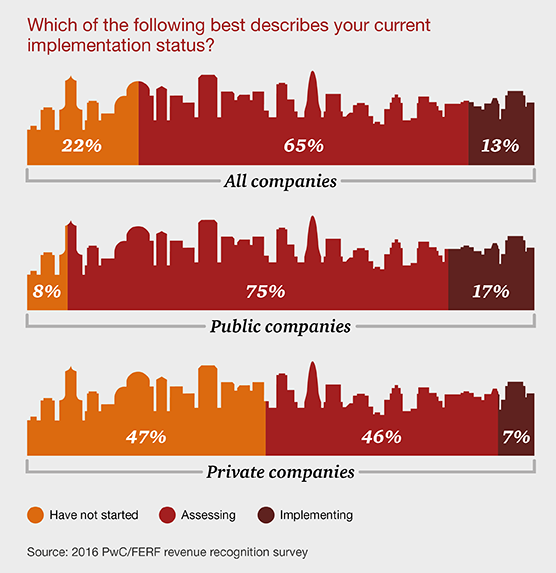 In the PwC survey, contract reviews and developing new accounting policies were anticipated to be the most difficult to implement, followed by documentation of the conversion process. Project management was also considered a major hurdle. If any of these issues are of a concern for your software or professional services business, now is the best time to start taking the first step. Or, if you’ve been working on the transition but are struggling against unexpected concerns, you might need a second (or third) set of eyes on the problems. That’s what we do here at Bi101—we help companies understand the full picture of their accounting and finances, and then help them to implement NetSuite—the trusted, cloud-based enterprise resource management (ERP) suite that helps companies get a handle on all of ASC 606. We’ll get you set up with a 14-day free trial to start, and then begin the conversation as to how to make your transition to ASC 606 compliance smooth, error-free, and, yes, even profitable.